Anyone in the market for a premium pair of waterproof wireless earphones may be worth giving Aylne more investigation. 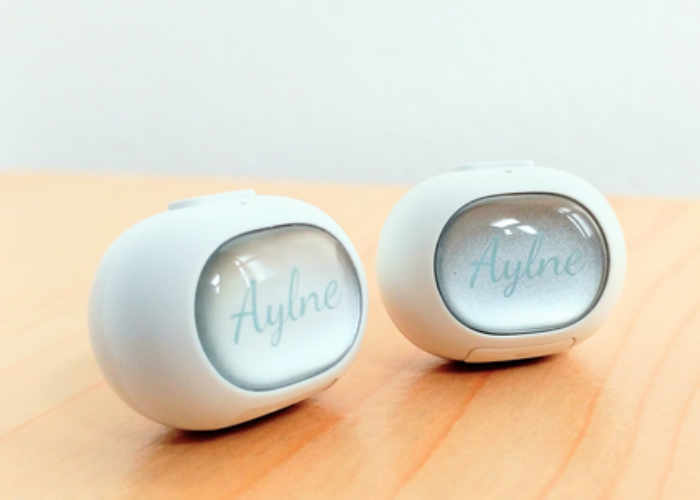 Aylne As a new wireless earphone which has been created by a development team based in Toronto Canada, and which has this week taken to Kickstarter to raise the capital the team requires to take the hardware into production. Watch the promotional video below to learn more about the waterproof wireless earphones, and what makes them different to other devices currently on the market. A revolutionary new way to listen. Ergonomically designed, to fit most ears. With 70 hours of standby time, an acrylic finish, and only 4.9 grams. As big as a dime. It seems too good to be true. We’ve been dreaming of a simple way to listen to music, make calls, etc. without the restrictions of a wire. It’s been a long road, and now we have everything ready, from finished products, to factory contracts, all we need now is to gain the funding. Freedom to it’s fullest. Aylne is the first mono earphones to be wireless, and water resistant at the same time. Aylne can endure heat up to 80 degrees celcius. With a 10 meter range, you’re able to enjoy a new form of listening. Freedom is not bound by wires. For more information on the new Aylne wireless earphones jump over to the Kickstarter website for details by following the link below.